I am a peer facilitator who has gone through extensive personal experience and professional training to work with people living with various mental illnesses and substance abuse. 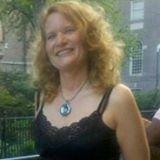 I have my Ph.D. in Educational Psychology and have worked as a psychological researcher for many years. I also have much experience in facilitating online meetings. I volunteer my time at a Crisis Hotline. I have a strong commitment and passion to improve the quality of life for people, and welcome the opportunity to fulfill this desire with you through Depression Recovery Groups.